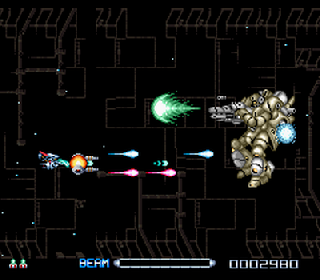 R-Type the Third Lightning is the Third entry in the R-Type series. 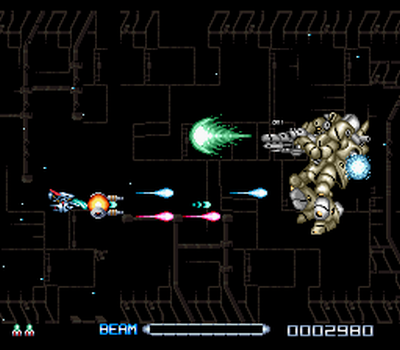 This is a shoot 'em up game, with 3 different "Force" types, a new feature in the series. Each has different properties, and upgrades. You must do battle with the "Bydo Empire", and in doing so, use various upgrades to fire upon various enemies. The force can protect your ship from projectiles, but only on the side you're facing. And if the projectile goes through things, it goes through your force, and getting hit by anything, even walls, results in instant death. It's definitely quite difficult, and it has to be one of the better games out there. Now you can add videos, screenshots, or other images (cover scans, disc scans, etc.) 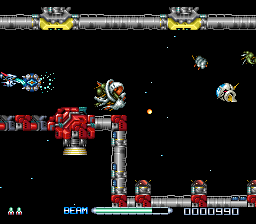 for R-Type III - The Third Lightning (Europe) to Emuparadise. Do it now! If you haven't noticed yet, we have a retro game of the day feature (top-right of the screen) wherein we feature a new retro title every single day! Now, you can vote for your favorite games and allow them to have their moment of glory. 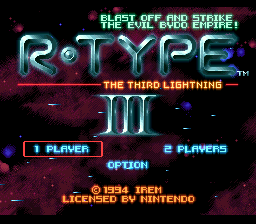 Click on the button below to nominate R-Type III - The Third Lightning (Europe) for Retro Game of the Day.